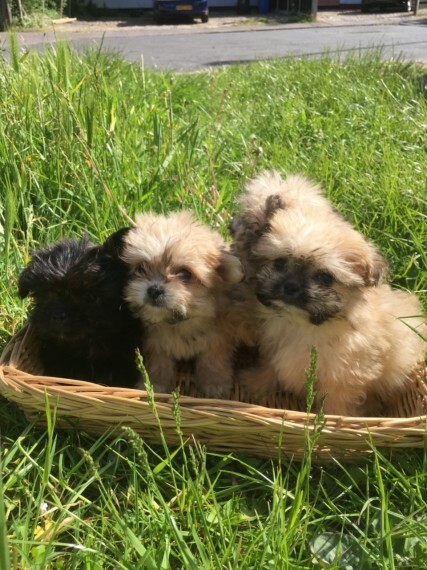 We Beautiful litter of Shih Tzu X Chihuahua puppies. 4 girls available. Mother and father can both be seen. These lovely little girls are being raised in a family home with children. cats and other dogs. They are flea treated and wormed up to date and come with 5 weeks free insurance. Ready Now No Time Wasters Please.